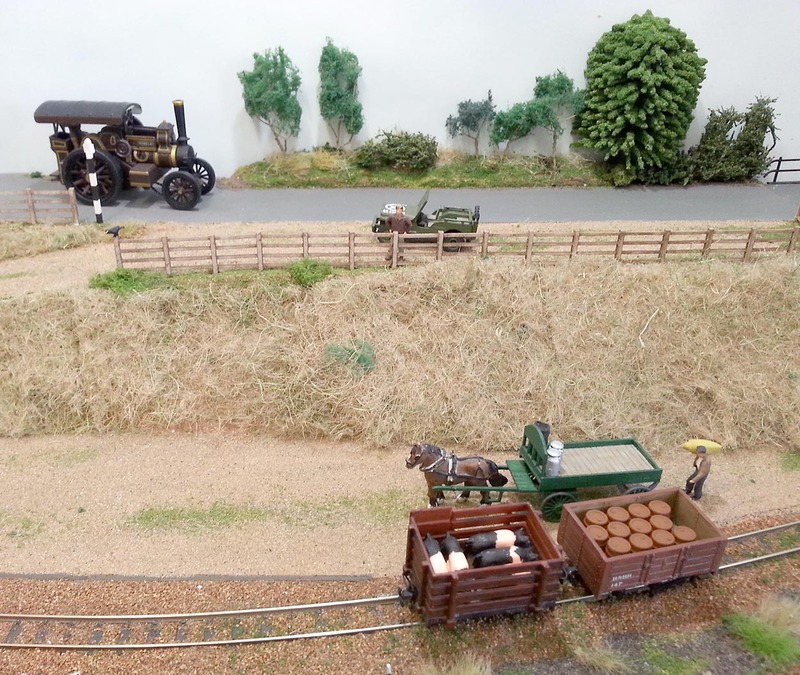 Last weekend was the Oxfordshire Narrow Gauge Modellers Open Day at Steventon Village Hall. I travelled down the night before and met up with Richard and Sarah Doe for a beer and a jolly good chat which was a lot of fun. Richard was exhibiting Shipmeadow, a small rural halt on the ficticious Beccles and Bungay Railway. Shipmeadow workhouse nestles on the hill above the station and is surrounded by open blue sky. It really captures the atmosphere of this part of Suffolk. Richard has some very nice stock and he’s very skilled at buying new and secondhand stock and repainting it in the B&B liveries to make it look completely different. 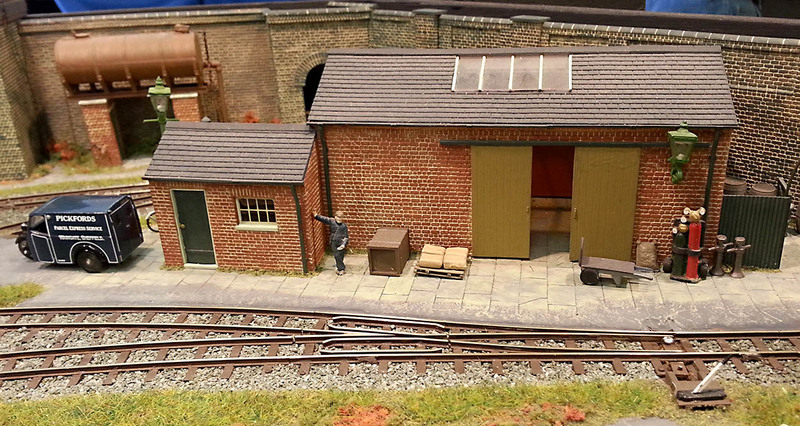 The layout is set in 1944, hence the blackout station nameboard and the rather nice War Department van. Richard has even included a Willys jeep! I took ‘First’ and I was very pleased that so many people stopped to look at the layout and to have a chat. I met loads of nice people, had some great conversations and learnt a lot. Thanks to everyone for making it such an enjoyable day. 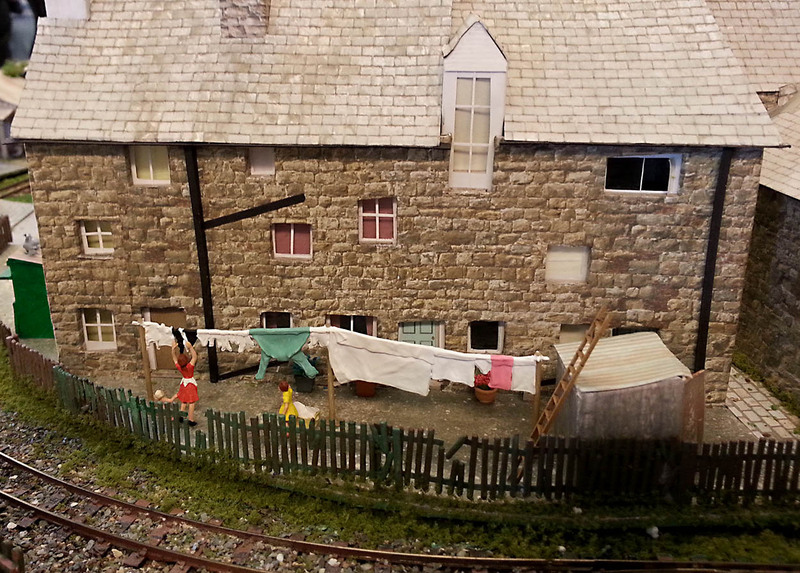 I managed to sneek off and take a few photos of some layouts I hadn’t seen before. 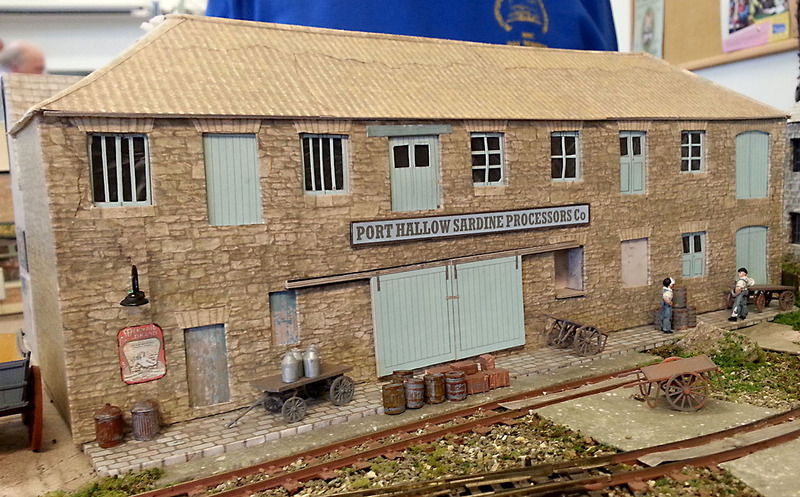 This is Port Hallow in OO9 by Michael Key. I was very impressed by the buildings created from card and paper. The layout oozes atmosphere. Look at this absolutely superb sardine processing factory. Lovely modelling. I really liked Michael’s cameo scenes, such as this lady hanging out her washing. 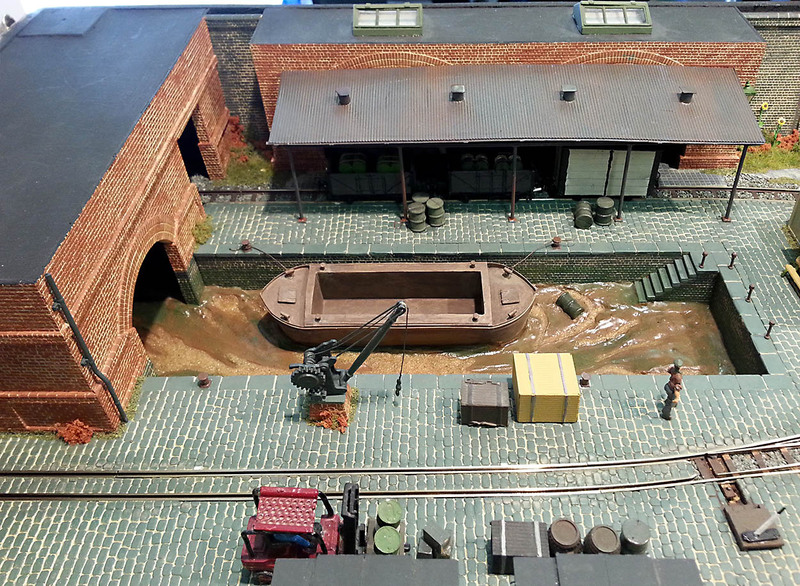 Another layout that I hadn’t seen before was Ryders Green Wharf by Peter Cullen, also in OO9. It has a very interesting trackplan with lots of operating potential. It represents a distribution point for engineering works in Birmingham and includes a branch of the Birmingham Canal. Look at that silty, muddy canal. The ‘setts’ around the canal are made with Slater’s plastic sheet and Peter has made a great job of these. … and a very well engineered turntable. 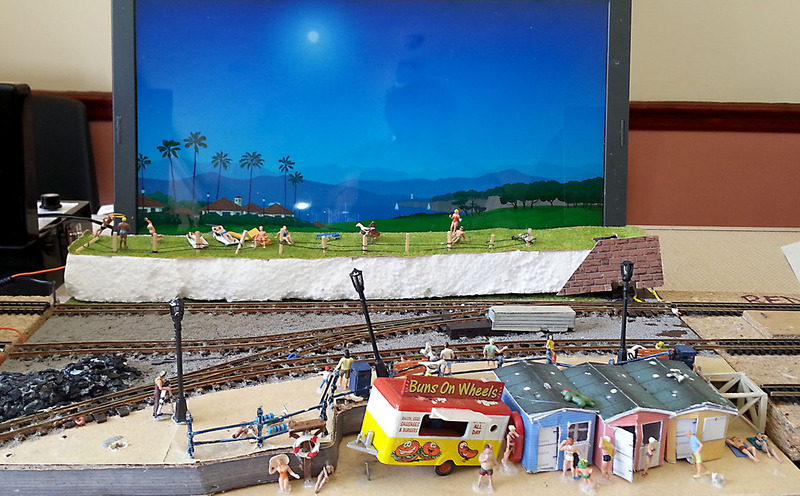 For me, the most original layout of the day was The Seaside Layout by Richard Standing. Richard has used a laptop screen as the back-scene and it is animated using the YoWindow weather app. It has moving boats etc. I thought this was a very clever idea. You could create a backscene with changing weather, sunrise, a sunny day, sunset and even night time! 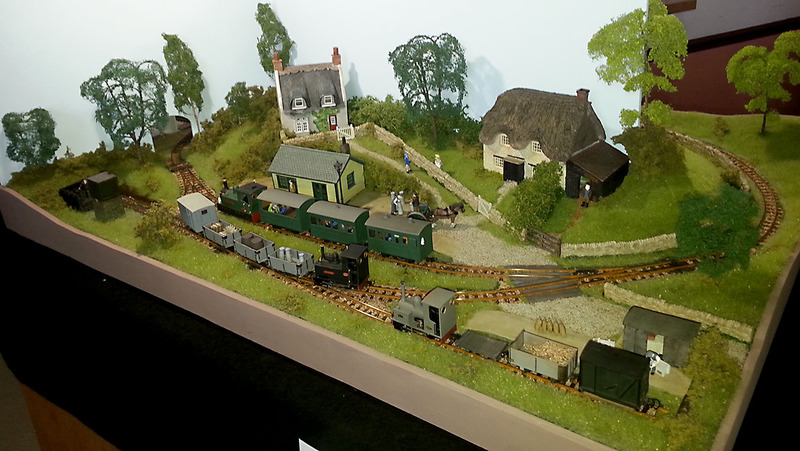 The Oxfordshire NG Modellers team have created a great show. Everyone was friendly, welcoming and helpful. The hall is a super venue, there was a diverse range of high quality layouts and the catering was excellent. The star of the show was the Lime and Courgette cake – light, moist and very, very tasty. It’s definitely worth adding the Steventon Show to your ‘must visit’ list. Thank you for your kind words about Port Hallow. My first layout too, so I was a bit apprehensive about showing it. So I was delighted to get some good supportive comments from visitors. I’ve never have guessed it was your first layout! It’s verygood indeed and I could have looked at it for ages. I think you have a real talent for card modelling. 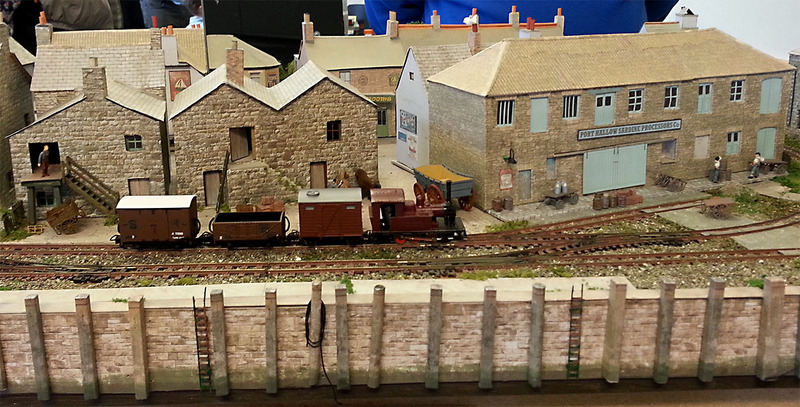 A very enjoyable show with some cracking layouts to see.